PVC Tech is a leading distributor and converter of thin gauge polymer films. Shipping from our West Coast and Midwest warehouses, we offer both stock and custom-made films for standard and specialty applications, all with competitive pricing, timely service and rigorous quality control. Concerned about a specific application? We specialize in sourcing and custom designing the right films to optimize end-use performance. With the dedicated expertise of our world class manufacturing partners, we offer the best quality in each material category while having access to over a hundred lines of calendering and extrusion. Concerned about consistent supply and service? Aside from our extensive floor stock, we can tailor Just-In-Time supply programs to complement your material planning and inventory requirements, ensuring timely delivery and consistent product you can count on. With 30 years of experience in thin film conversion, we offer size options, roll to sheet savings and process-ready material to the configuration you require. Our highly-skilled production and sales team can help you realize the savings and convenience to get your project up and running while our friendly and knowledgeable Sales and Service staff are here to assist you. 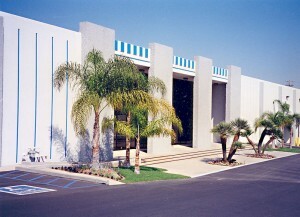 We offer regularly scheduled deliveries in Southern California from our Dominguez Hills facility as well as arrange shipments from our Midwest warehouse.